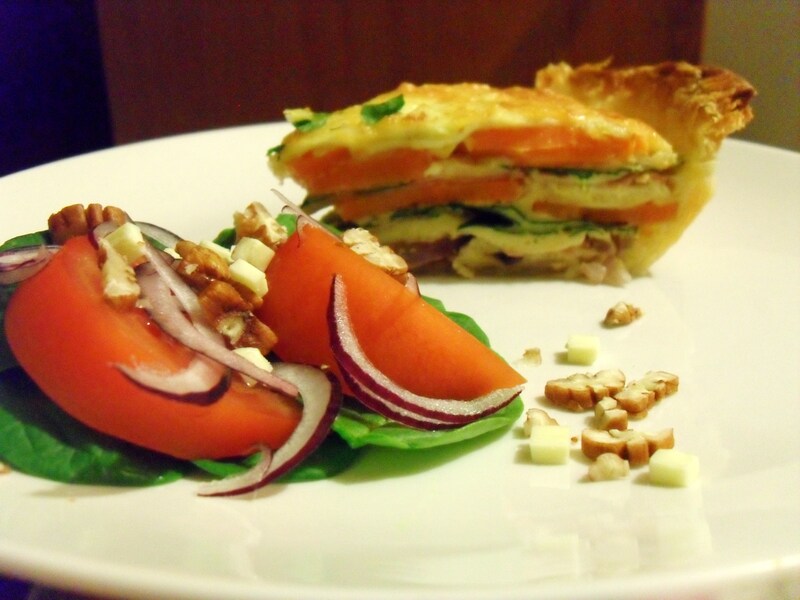 This recipe is super healthy…. So initially I was turned off it (haha). However I had some quinoa in the cupboard (after my aunt Jessie talked up the ‘super grain’ so much) and this recipe looked about as tasty as quinoa gets! I found the recipe on pinterest this morning (http://pinterest.com/pin/13581236346823678/) and made it for dinner tonight. Clearly my time on pinterest was not wasted!! The original recipe was a little different but I had to make it appeal to Craig who LOVES tuna. I’m glad I added the tuna and the zucchini, because the patties turned out really tasty and I will definitely be making them again. I ate them with a baked sweet potato salad with a little BBQ sauce, Craig put his and the salad into a tortilla and made a burrito. Someone out there let me know if you can get your kids to eat them! Combine the quinoa, eggs, and salt in a medium bowl. Stir in the tuna, grated zucchini, coriander, onion, cheese, and garlic. Add the bread crumbs, stir, and let stand for a few minutes. Form mixture into 18 1-inch thick patties. (Add more breadcrumbs if the mixture is too wet; add water if too dry.) Mixture can be kept covered in the refrigerator for up to 2 days. Heat oil in a large, heavy skillet over medium-low heat. 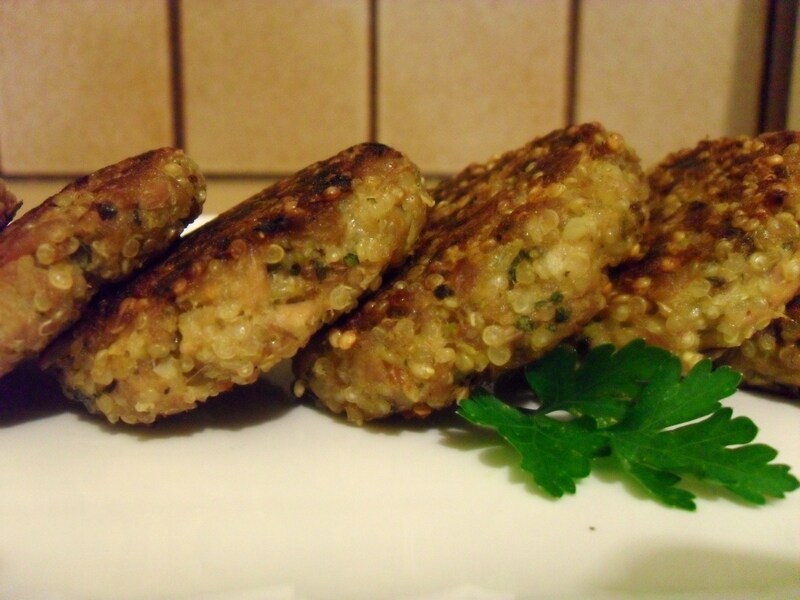 Working in batches, add patties, cover, and cook until bottoms are deeply browned, about 7 to 10 minutes. Increase heat to medium if there is no browning after 10 minutes and continue to cook until patties are browned. 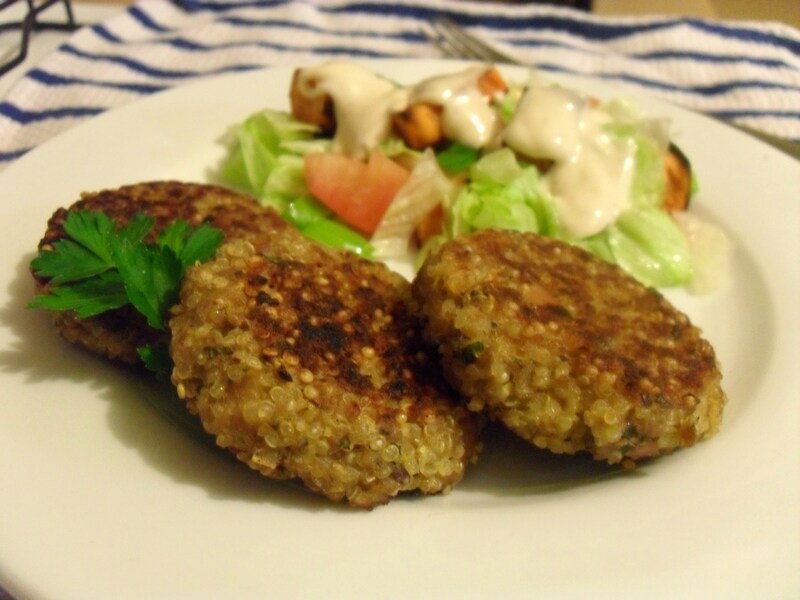 Flip patties with a spatula and cook the second sides until golden, about 7 minutes. Remove from skillet and cool on a wire rack. Repeat with remaining patties. 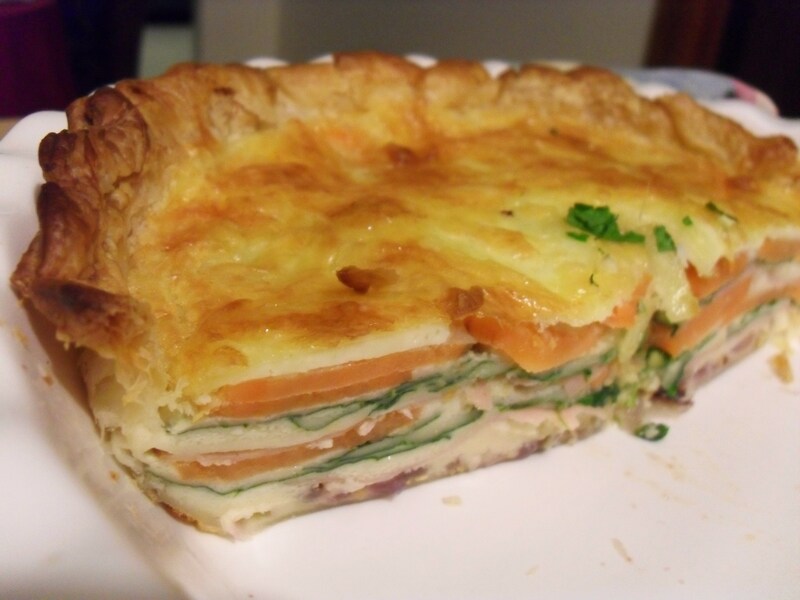 The name of this recipe is a sweet potato and haloumi quiche, but really its a sweet potato, spinach, red onion, mustard, ham and haloumi quiche, but that was just too long! 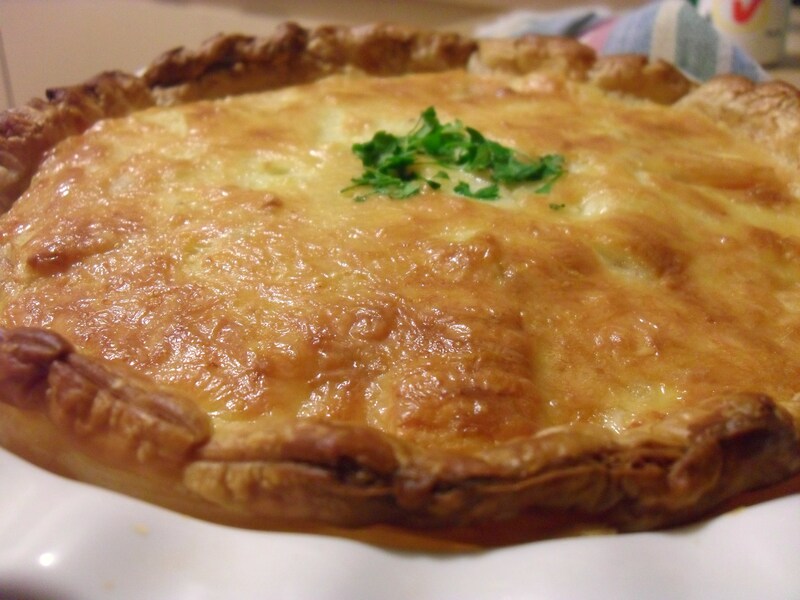 When Craig and I were dating he made a quiche similar to this one and I was so impressed I married him! 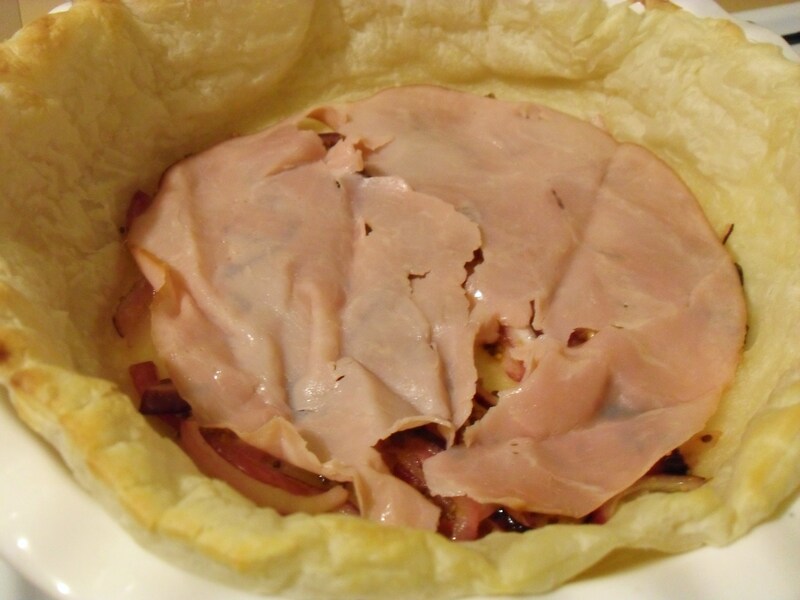 Since that time this quiche has evolved by incorporating lots of ideas mostly found in various Donna Hay magazines. However Craig can still claim the sauteed onion and seeded mustard base, and that is one of my favourite parts! 1. Preheat oven to 180C. 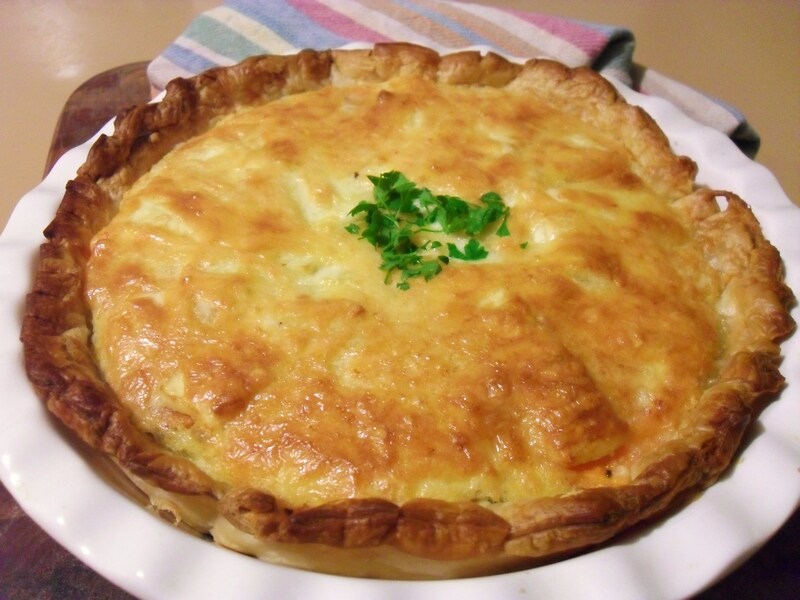 Spray a 24cm quiche dish with cooking spray. Place puff pastry sheet on dish and press to shape into the dish. 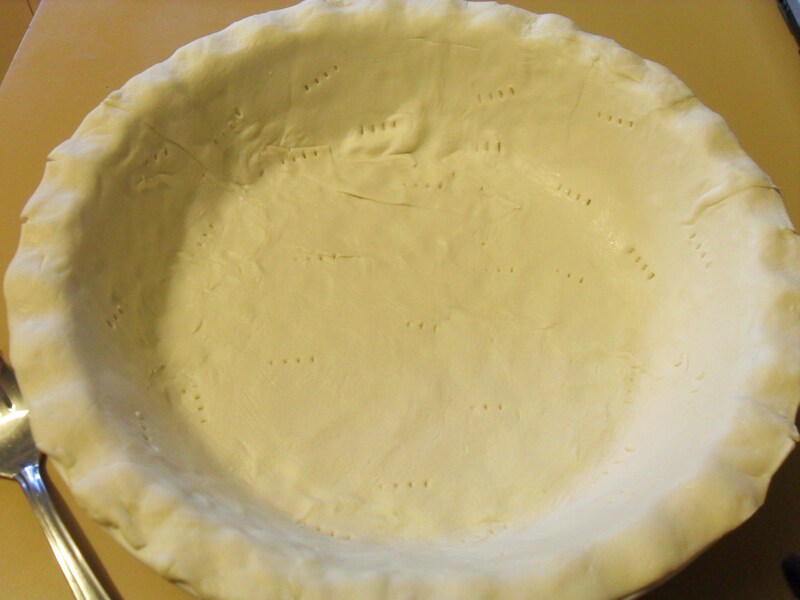 Poke holes with a fork into the pastry case to prevent the case form puffing up too much when you dry bake it. Place the pastry case into the oven and dry bake in the oven for 10minutes. 2. Heat the olive oil in a frying pan. Add onion and seeded mustard, stir fry until the onion is soft. 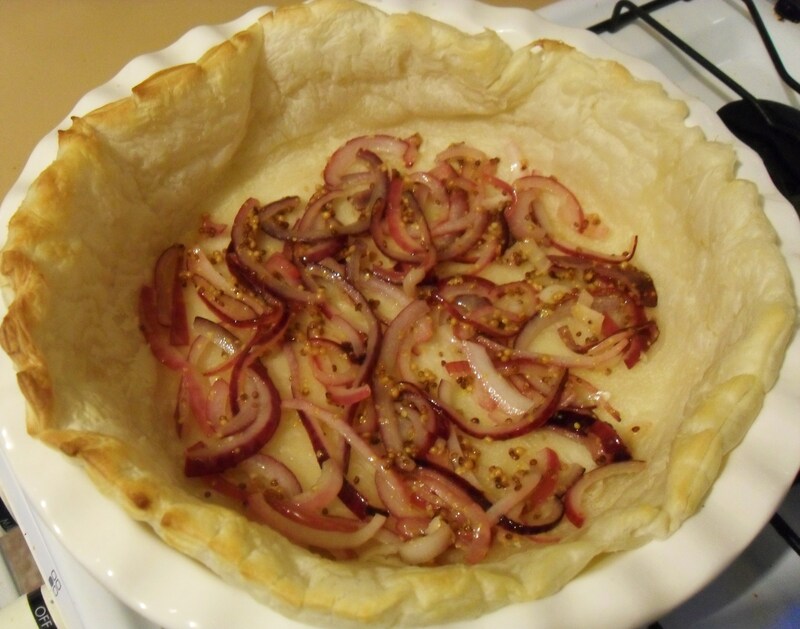 Add the onion and mustard mixture to the base of the puff pastry case once dry baked. 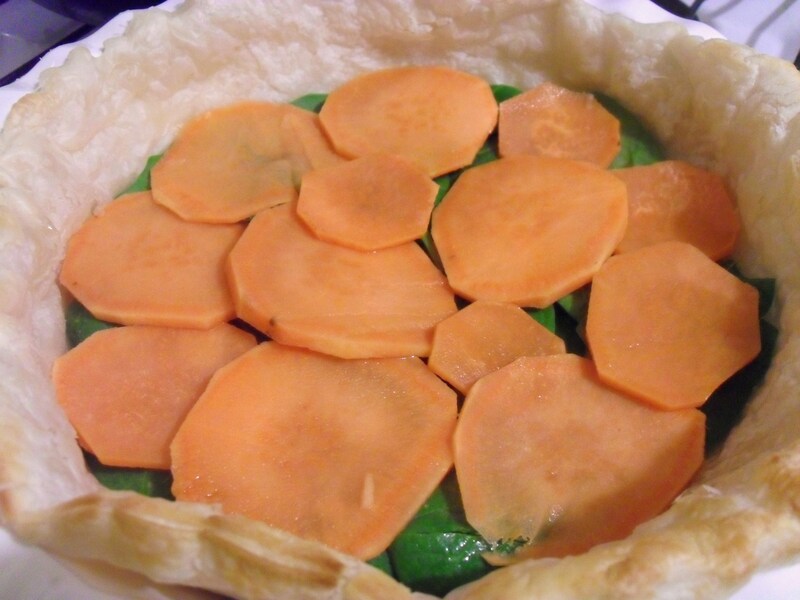 3. meanwhile, place the sliced sweet potato in a microwaveable bowl with a few tablespoons of water. Cover with plastic wrap and microwave for a couple of minutes on high to soften the sweet potato. 4. 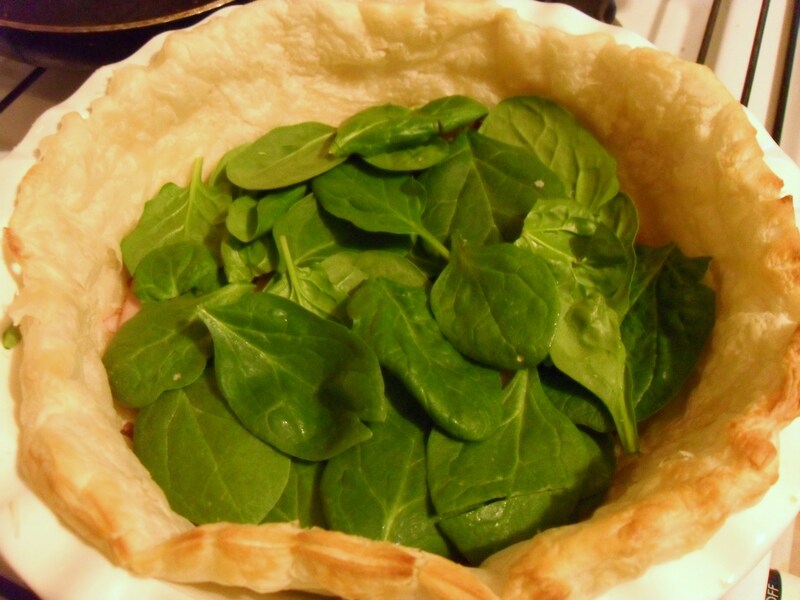 Place a thin layer of ham on top of the onion and mustard mix followed by the spinach and then sweet potato. repeat this one more tiome so you have two layers of each (except the onion). Place the sliced haloumi on top of the last layer of sweet potato. 5. Whisk together the egg, milk, butter, flour and a little salt and pepper in a mixing bowl. Fold in the cheese and slowly pour the mixture over the layered spinach, sweet potato and haloumi. 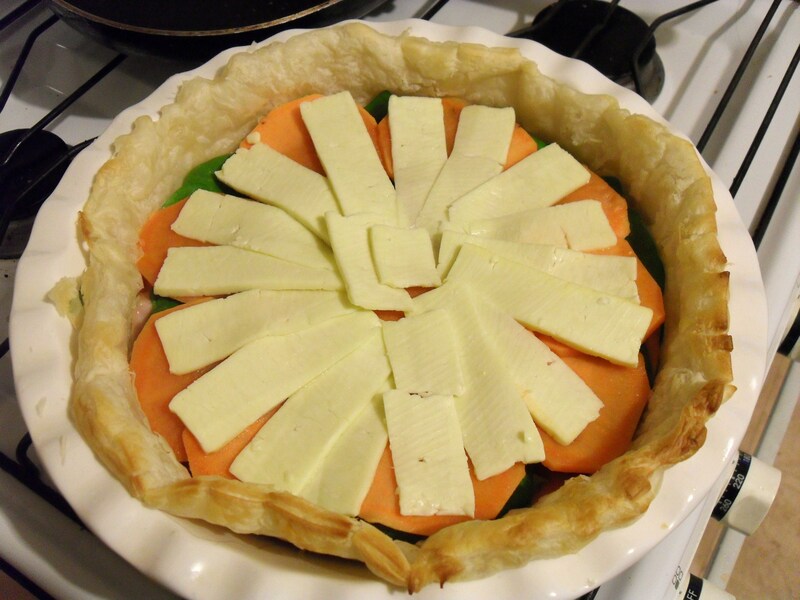 You will find that the cheese tends to stay on top but this means that a nice cheesy crust forms. 6. 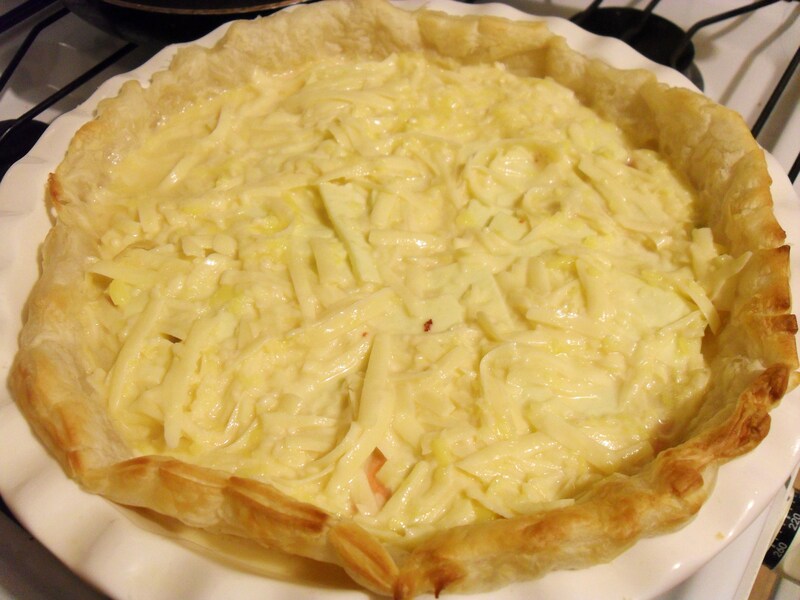 Bake the quiche in the oven for 30-35 minutes or until the top is golden. Allow it to cool a little before cutting into it. You can eat it hot or cold, both are great! 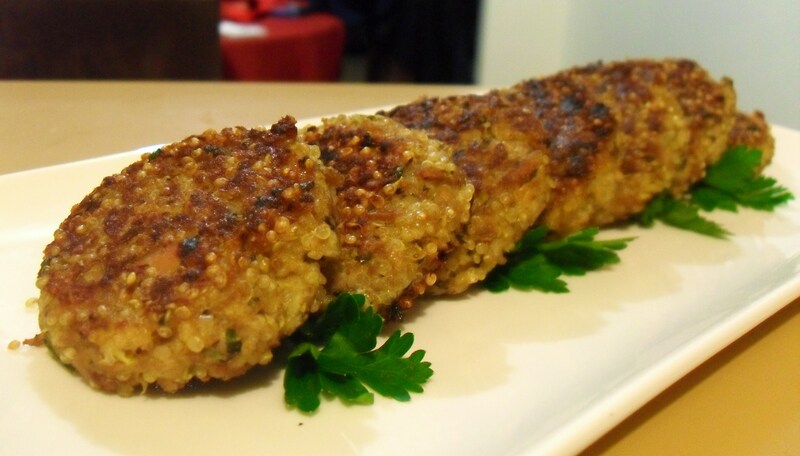 Serve with a salad or some steamed vegetables.